The Blossom Trivet is more than a just lightweight, heat-resistant, surface-safe silicone trivet; it is fun and functional. 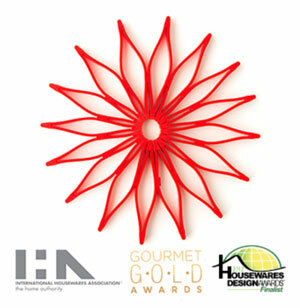 The award-winning flower-shaped Blossom Trivet is a versatile kitchen gadget with nearly limitless uses, in and out of the kitchen! It easily turns your tabletop into a creative work of art and is perfect for all occasions. It protects tabletops and other surfaces from scratches. The Blossom Trivet easily compresses or expands to fit whatever size you need, perfectly. Join several together or mix colors to create a colorful, fun table topper that is sure to bring rave reviews from family and guests alike.